There’s an old adage about “using the right tool for the job”. There’s also one about “time is money”. Occasionally these intersect at “right tool for the time”. We hit this intersection while building a shed this weekend. We spent a good part of day 1 hammering nails the ole fashioned way because it was the right tool. But come day 2 we realized we weren’t likely to finish the project in time at the speed I hammer. 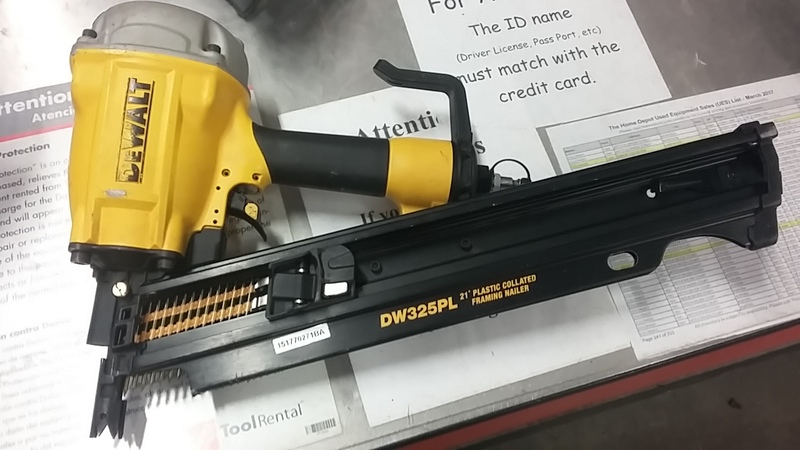 So to the hardware store I went to rent a pneumatic nail gun. We already had a tank and hoses borrowed from kin so the cost was just $35. It made a huge speed difference and we got to play with a new tool. Now I’m not gonna use a nail gun for everything but it’s wise to evaluate when spending a few greenbacks can create some momentum. We nailed together a wall in about 5 minutes and my arm was happy for a day. Now the gun is back on its shelf and the hammer is back out. Onward we nail.